There are many aspects to running TiLT and making this podcast that I love, and one of them is introducing the TiLT community to helpful resources that have the potential to improve the quality of their family’s lives. I’m happy to be dedicating this episode to one such resource, an organization called Twice Exceptional Children’s Advocacy, better known as TECA. TECA’s mission is to help parents understand what twice exceptionality is and help them identify whether their children are 2e. The organization assists parents in finding and advocating for the education and resources their children require and provide a strong, vibrant, accepting community for 2e children and their families. My guests are Melissa Sornick, a licensed clinician who works with children and families and who is also a co-founder and the president of TECA, and Maratea Canterella, TECA’s executive director. As you’ll hear from the episode, the mission of TECA is very personal for both of these women, and they’ll share their stories as well as give us insights into the types of support TECA offers for parents with 2e kids. About Maratea: Since joining TECA in 2014, Maratea Cantarella has worked to expand the grassroots organization into a vibrant online resource and community for parents of twice exceptional (2e) children. 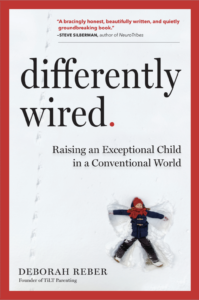 As the mother of a 2e child, she experienced first-hand both the scarcity of resources and information available to help parents raise these uniquely challenging children and the sense of isolation that comes from having a differently wired child. After years of struggling to put together a team of knowledgeable educators, related service providers and mental health professionals to help her son thrive, she became determined to help other families by providing them with empathy, validation and information. About Melissa: Melissa Sornik is the co-founder and president of Twice Exceptional Children’s Advocacy and has been working with gifted and twice exceptional (2e) children and their families since 2003. A licensed clinician, Melissa earned her masters degree in social work from Fordham University with a specialization in children and families. She has developed programs for 2e children and adolescents, facilitated professional development sessions for the Achilles Project for 2e college students at Nassau Community College, has authored several articles on the subject of twice exceptionality, and has conducted lectures and parent workshops at local school districts and national conferences.